There is no shortage of festive and family-friendly events this month. 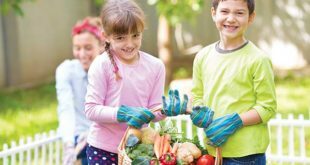 Our staff put together this list of local favorites that are sure to put you and your family in the spirit. Before you go, be sure to check websites for weather or event updates. Here’s to a great month of fun. Happy Holidays from all of us at Baltimore’s Child! Family Festival Seasonal performances, music, refreshments and special winter-inspired kids’ art activities. The Walters Art Museum, 5-7:30 p.m. Dec. 6. 410-547-9000, thewalters.org. Official lighting of the Washington Monument with music, refreshments and entertainment, plus children’s activities and a visit from Santa. Mount Vernon Place, 699 Washington Place, 5-8 p.m. Dec. 6, with lighting ceremony followed by fireworks. 410-244-1030, promotionandarts.com. Help decorate the enormous tree and enjoy a visit from Santa, plus caroling and treats. Parking lot at High and Stiles streets, 7 p.m. Dec. 7. littleitalymd.com. House and gardens illuminated and decorated for the season. Holiday refreshments and performances. Historic London Town and Gardens in Edgewater, 6-9 p.m. Dec. 7, 8, 14, 15, 21, 22. 410-222-1919, historiclondontown.com. Glowing lanterns light the way around Maryland’s historic state capital, trimmed in holiday greenery. Departs from information booth at Annapolis City Dock, 7-8:30 p.m. Fridays & Saturdays (except Dec. 8) Dec. 1, 7, 14, 15, 21, 22. 410-268-7601, watermarkjourney.com. Settle into a good viewing spot for this yearly Annapolis festive tradition. Annapolis Harbor, 6-8 p.m. Dec. 8. 844-463-6392, eastportyc.org. Hunt Valley Town Centre, 11 a.m.-2 a.m. Dec. 1. 410-833-8848, bmorehumane.org. Featuring carolers, live music, tree-lighting ceremony and Santa parade. Main Street in Mount Airy, 6 p.m. Dec. 1. 301-351-9159, mountairymainstreet.org. Parade, music, carols, hot chocolate, performers and tree lighting. Main Street in Bel Air, 2:30-5 p.m. Dec. 2. 410-638-5780, belairmd.org. Tour selected Havre de Grace historic homes and buildings amid illuminated streets and festive decorations. 4 p.m.-8 p.m. Dec. 8. 410-939-5780, thelockhousemuseum.org. Charles Dugger presents the principles of Kwanzaa. Dates, times, and branches vary. prattlibrary.org. 4-D Experience “Rudolph the Red-Nosed Reindeer” like you’ve never seen it before! National Aquarium, daily through Jan. 1. aqua.org. Merriment, music, and 18th-century yuletide splendor. Fresh-cut greens and holiday gifts for sale. 1500 Washington Blvd., 11 a.m.-4 p.m. Dec. 8. 410-837-3262, mountclare.org. Storytelling, drumming, dance, kids’ art activities and a libation ceremony for all ages. Creative Alliance, noon-3 p.m. Dec. 1. 410-276-1651, creativealliance.org. Features Harley Davidson motorcycles, marching bands, Philadelphia “Mummers,” floats, steam calliope and Santa. Begins at Poly/Western High Schools and continues down Falls Road., 1 p.m. Dec. 2. 410-366-0726, mayorschristmasparade.com. Meet jolly Old St. Nick and his wife to tell them your holiday wishes. Rawlings Conservatory, 1:30-3:30 p.m. Dec. 2. 410-396-0008, rawlingsconservatory.org. Seasonal music and decorations with refreshments at Homewood House. 3400 N. Charles St., 5:30 -7:30 p.m. Dec. 3. 410-516-5589, museums.jhu.edu. Festive fare and seasonal decorations, plus a decorated period sleigh to serve as a backdrop for holiday photos. Evergreen Museum & Library at Johns Hopkins University, 6-8 p.m. Dec. 13. 410-516-0341, museums.jhu.edu. Walk-in tour Celebrates the season through art at The Walters. The Walters Art Museum. 1-2 p.m. Dec. 16. 410-547-9000, thewalters.org. Visit three-story Victorians and Edwardians, porch fronts, and “painted ladies,” 1920s arts-and-crafts homes and some of the neighborhood’s finest churches and private buildings. Begins at the Village Learning Place, 2521 St. Paul St., noon-5 p.m. Dec. 16. 410-235-2210, snowflaketour.info. Explore a different seasonal theme each day through science-based activities, drop-in workshops, and live demonstrations. Maryland Science Center, Dec. 21 – Jan. 1, times vary. 410-685-2370, mdsci.org. 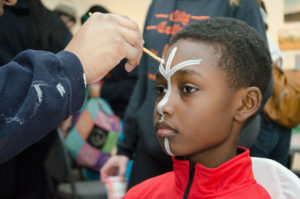 Storytelling, dance and music performances, craft activities, candlelight Kwanzaa ceremony and an African Market Place. Reginald F. Lewis Museum, noon-4 p.m. Dec. 29. 443-263-1800, lewisMuseum.org. Enjoy hot cocoa and music aboard a holiday-decorated boat as it tours the sights of Spa Creek. Annapolis City Dock, 6, 7 and 8 p.m. Friday-Sunday through December. 410-268-7601, cruisesonthebay.com. Create your own holiday wreathes and centerpieces using greenery from our wooded gardens, bows, ornaments and other festive decorations. Sold out – wait list only. Historic London Town and Gardens, 10 a.m.-noon. Dec. 1. 410-222-1919, historiclondontown.com. Crafts, cookie decorating, refreshments, music and Santa. Cromwell Valley Park in Parkville, Dec. 1. 410-887-2503/2504, cromwellvalleypark.org. Drop off your kids (under 12) for crafts, a holiday movie, and snacks while you shop at Hunt Valley Town Centre. Baltimore County Agricultural Center in Cockeysville, 5:30-8:30 p.m. Dec. 7. 410-887-8973, marylandagriculture.org. Make a festive centerpiece from evergreens, a holiday container and a candle. Listen to holiday tunes, enjoy cookies and create natural ornaments for your home or to give as gifts. Lake Roland, 2-4 p.m. Dec. 8. Ages 5 and up. 410-887-4156, lakeroland.org. Use nature’s art supplies to make fun holiday decorations. Willow Grove Nature Education Center at Cromwell Valley Park, 11 a.m.-3 p.m. Dec. 1. Ages 5 and up. 410-887-2503/2504, cromwellvalleypark.org. Drop in to create a festive evergreen centerpiece and learn the history behind the symbol of evergreens. Bring your own container. Benjamin Banneker Historic Park, 10 a.m.-noon. Dec. 8. 410-887-1081, facebook.com/bannekermuseum. Make some nature-inspired ornaments for yourself and a few special treats for the birds. Oregon Ridge Nature Center in Cockeysville. noon-3 p.m. Dec. 15-16. Ages 5 and up. 410-887-1815, oregonridgenaturecenter.org. Use fresh greens to create a candle centerpiece for your holiday table. Willow Grove Nature Education Center at Cromwell Valley Park, 1-2:30 p.m. Dec. 15. 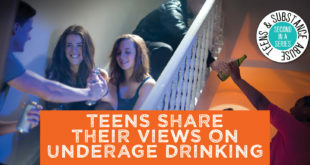 Ages 13 and up. 410-887-2503, cromwellvalleypark.org. Make a holiday wreath from natural materials. Enjoy hot chocolate and cookies while listening to some festive tunes. Lake Roland, 10-noon and 1-3 p.m. Dec. 1-2. 410-887-4156, lakeroland.org. Holiday Teas Step back in time with holiday teas, visits from Santa, and more. Carroll County Farm Museum in Westminster, through Dec. 22. Times vary. 410-386-3880, carrollcountyfarmmuseum.org. Search the fields and forests for materials that can be used to create holiday-themed crafts and decorations. Enjoy hot cocoa and cookies while piecing together what’s been found into a beautiful holiday masterpiece. Bear Branch Nature Center in Westminster, 10-11:30 a.m. Dec. 9. Ages 3-10. 410-386-3580, ccrecpark.org. Celebrate the season on Sykesville Main Street. Main Street in Sykesville, noon-4 p.m. Dec. 8. 410-795-8959, sykesville.net. Peruse the museum in its holiday best. Hays House Museum in Bel Air, 1-4 p.m. Dec. 3. 410-838-7691, harfordhistory.org. Decorating Decorate a beautiful (and delicious) gingerbread house this festive season. The Other Barn at Oakland Mills in Columbia, 6:30-8:30 p.m. Dec. 12. 410-730-4610, oaklandmills.org. See the Christmas story and visit a temple scene and a first-century marketplace. Glen Mar United Methodist Church in Ellicott City, 5-8 p.m. Nov. 30-Dec. 3. 410-465-4995, glenmarumc.org. The jolly old soul arrives by sleigh, ready to read your wish list and pose for a photo. 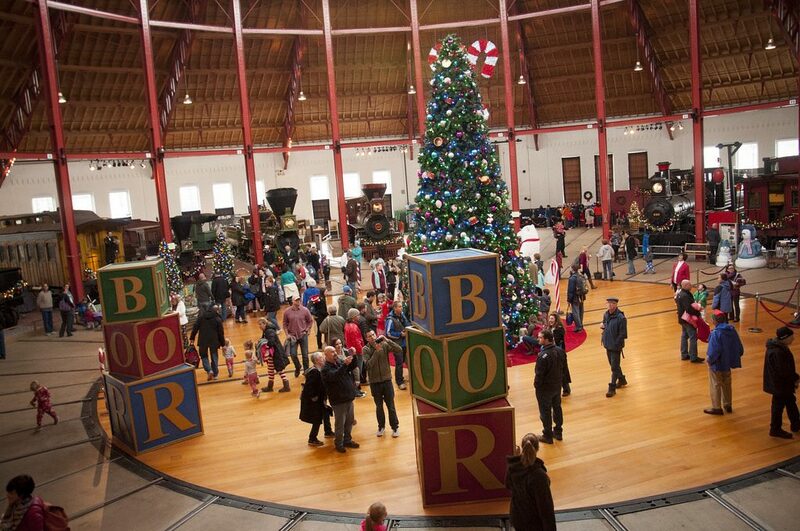 B&O Ellicott City Station Museum, noon-4 p.m. Dec. 8, 15, 22. 410-313-4700, facebook.com/howardcountyrecreationandparks. Hundreds of costumed horses, mules, ponies, riders and decorated wagons take to the streets to celebrate the holidays. Main Street in Lisbon. Noon. Dec. 8. lisbonhorseparade.com. A traditional German-style holiday market, featuring craft, gift and food vendors as well as performances, events and workshops. See website for schedule. Free admission on weekdays. West Shore Park at Inner Harbor, 11 a.m.-7 p.m. Sunday-Thursday, 11 a.m.-8 p.m. Friday-Saturday, through Dec. 24 (11 a.m.-5 p.m.). baltimore-christmas.com. Hundreds of unique poinsettia specimens will be on display, and many beautiful poinsettias will be available for purchase. Rawlings Conservatory, 10 a.m.-4 p.m. Dec. 1-Dec. 31. 410-396-0008, rawlingsconservatory.org. A diverse mix of indie crafters from across Baltimore and elsewhere. Free drop-in children’s art activities. Creative Alliance, 11 a.m.-5 p.m. Dec. 2. 410-276-1651, creativealliance.org. This festive sale features a variety of fine art pieces and handmade objects made by MICA students, alumni, faculty and staff. Brown Center at Maryland Institute College of Art, 11 a.m.-7 p.m. Thursday-Friday, 10 a.m.-6 p.m. Saturday-Sunday, Dec. 6-9. mica.edu. Juried indie/alternative craft fair. St. John’s Church, 2640 St. Paul St., 10 a.m.-5 p.m. Dec. 15. charmcitycraftmafia.com. Enjoy musical performances, food and beverages at many stores. Downtown Annapolis, 6 p.m.-midnight, Dec. 6, Dec. 13. 6 p.m.-11 p.m., Dec. 20. visitannapolis.org. 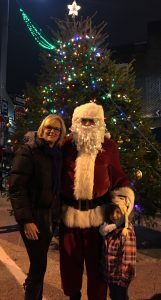 Photos with Santa, unique crafts, baked goods and children’s activities. Trinity Episcopal Church, Long Green, 9 a.m.-2 p.m. Dec. 1. 410-592-6224, trinitychurchlonggreen.org. Local high school marching bands, mascots, street performers and dance troupes. The Avenue at White Marsh, 10 a.m. Dec. 1. 410-931-0411, theavenueatwhitemarsh.com. Silent auction of more than 150 uniquely decorated wreaths. Vote or bid on your favorite. Carroll Arts Center in Westminster, 10 a.m.-7 p.m. Nov. 23. through Sunday, Dec. 2, 10 a.m.-4 p.m. 410-848-7272, carrollcountyartscouncil.org. Featuring fresh holiday greens and arrangements. Santa visits on Dec. 2. 700 Ag Center Drive, Westminster, Sat., Nov. 3, 10, 17, 24. Dec. 1, 8, 15, 8 a.m.-2 p.m. 410-848-7748, www.carrollcountyfarmersmarket.com. Decorations and music, featuring the Catherine Street Consort. Hays House Museum, 1-4 p.m. Dec. 1. 1-4 p.m. Dec. 2. 410-838-7691, harfordhistory.org. The circa 1747 Manor House will be decorated in honor of the holiday season. Enjoy seasonal music, hot cider and cookies. Holiday arrangements, greens and gifts for sale. Ladew Topiary Gardens in Monkton, 9 a.m.-4 p.m. Dec. 7-8. 410-557-9570, ladewgardens.com. Stop by this annual event for gifts, baked goods and more. Susquehanna Museum at the Lock House in Havre de Grace, Dec. 8, 9-5 p.m. Dec. 9, noon-5 p.m. 410-939-5780, thelockhousemuseum.org. Shops and restaurants open late. Families can visit with Santa and sip hot treats. Plus, enjoy strolling carolers and period actors. Historic Ellicott City, 6 p.m. Dec. 7. visitellicottcity.com. Handmade original art and craft items. Howard County Center for the Arts in Ellicott City, 5:30-8:30 p.m. Nov. 29. 410-313-2787, hocoarts.org. Soaps, candles, jewelry, nature and gardening books, kids’ books and puppets and birdseed ornaments. Howard County Conservancy in Woodstock, 10 a.m.-3 p.m. Dec. 1. 410-465-8877, hcconservancy.org. Seasonal gifts and merchandise created by juried artisans. Gary J. Arthur Community Center in Cooksville, 10 a.m.-5 p.m. Dec. 1. Ages 5 and up. 410-313-4840, howardcounty.gov. Enjoy a pancake breakfast inside the historic Roundhouse. Children can visit and have photos with Santa, view the holiday model train layouts and ride aboard the Train Carousel. Dec. 1 & 8, 8:30 a.m. Dec. 2 & 9, 9:30 a.m. Families can also enjoy an afternoon snack of cookies, milk, and hot chocolate with a favorite holiday story. Includes a train ride with Santa on Dec. 1-2, Dec. 8-9. Weekends, 1:15 p.m. 410-752-2462 x221, borail.org. Buffet breakfast and singing and dancing with Talent Machine’s Soundstage Kids. Buddy’s Crabs & Ribs, 100 Main St., Annapolis, Sat., Dec. 1, 8, 15, and 22, 8:30 a.m. $13. Registration required. 410-626-1100, talentmachine.com. Join Santa for a family meal in a rustic setting. Camp Puh’tok Lodge in Monkton, 7-11 a.m. Dec. 1. 410-472-2748. Part of Towson’s Winterfest. Souris Saloon in Towson, 8-10 a.m. Dec. 1. towsonchamber.com/winterfest. Featuring a Santa Shop where kids can shop. Trinity United Methodist Church in Catonsville, 8 a.m.-10 p.m. Dec. 1. Registration required. 410-747-5841, trinitycatonsville.com. Part of Towson’s Winterfest. Charles Village Pub in Towson, 9 a.m.-2 p.m. Dec. 8. towsonchamber.com/winterfest. Enjoy delicious breakfast with Jolly Old St. Nick. St. Pius X School in Towson, 8:30 a.m.-11:30 a.m. Dec. 8. 410-427-7400, stpius10school.org. Sponsored by the Children’s Playhouse of Maryland. Brunch precedes the day’s performance of “Scrooge Jr.” Building B Cafeteria at CCBC Essex campus, 11:30 a.m. Dec. 8. 443-840-ARTS, cpmarts.org. Eat a big breakfast, visit with Santa and benefit your local volunteer fire company. Mount Airy Volunteer Fire Company, 7:30-11 a.m. Dec. 16. 301-829-0100, mavfc.org. Photo courtesy of Chesapeake Shakespeare Company. A Victorian tea featuring a professional storyteller who brings Dickens’ tale to life. Steppingstone Farm Museum in Havre de Grace. Dec. 16, 12 p.m. and 3 p.m. Ages 8 and up. 410-939-2299, steppingstonemuseum.org. Advanced ticket sales only for this annual event. Slayton House at Wilde Lake Village in Columbia, breakfast at 9 a.m-1:30 p.m. Dec. 1. Registration required. 410-730-3987, wildelake.org. Delicious treats sponsored by the Owen Brown Community Association. Owen Brown Community Center in Columbia, 11:30 a.m.-1 p.m. Dec. 8. Registration required. 410-381-0202, owenbrownvillage.org. Celebrate the Christmas classics with the Baltimore Choral Arts Society. Baltimore Basilica, 7:30 p.m. Dec. 4. 410-523-7070, baltimorechoralarts.org. Don’t miss out on the Baltimore Symphony Orchestra’s annual performance of the holiday classic. Meyerhoff Symphony Hall, Dec. 8, 8 p.m., Dec. 9, 3 p.m. 410-783-8000, bsomusic.org. These up-and-coming singers are sure to impress. Church of the Redeemer, 5603 N. Charles St., Miriam A. Friedberg Concert Hall, 3:30 p.m. Dec. 9. 410-234-4800, peabody.jhu.edu. Holiday musical performances by middle school orchestra, festival choir and student soloists. The Waldorf School of Baltimore, 6:30 p.m. Dec. 6. 410-367-6808, waldorfschoolofbaltimore.org. Celebrate the season at the beautiful Basilica and benefit those served by the Catholic charities. Baltimore Basilica, 7:30 p.m. Dec. 6. 443-798-3417, catholiccharities-md.org. Performed as in Handel’s lifetime. Grace United Methodist Church in Baltimore, 7:30 p.m. Dec. 15. St. Mark Church in Catonsville, 3 p.m. Dec. 16. 410-366-6544, handelchoir.org. Join First and Franklin Presbyterian Church for this Christmas tradition. First and Franklin Presbyterian Church, 4 p.m. Dec. 16. 410-728-5545, firstfranklin.org. Gilliam Concert Hall Center at Morgan State University, 4 p.m. Dec. 9. 800-745-3000, msuchoir.org. Enjoy this popular yearly event. Maryland State Boychoir Center for the Arts, Dec. 16, 4–5 p.m. Dec. 22, 7–8 p.m. Dec. 23, 4–5 p.m. 410-554-8644, marylandstateboychoir.org. Hundreds of tubas and euphoniums perform a concert of holiday favorites. Harborplace Amphitheatre, 3:30 p.m. Dec. 15. 410-332-4191, itsawaterfrontlife.org. Performance by CAC dance students followed by the Chesapeake Arts Center annual tree lighting. Chesapeake Arts Center in Brooklyn Park, 6 p.m. Dec. 15. Selections performed by the USNA Glee Club. Naval Academy Main Chapel, 7 p.m. Dec. 1, 3 p.m. Dec. 2. 410-293-8497, usna.edu. Annapolis Chorale’s holiday concert. Maryland Hall for the Creative Arts in Annapolis, 8 p.m. Dec. 7. 410-280-5640, 866-438-3808, annapolischorale.org. Talent Machine’s youth perform traditional holiday music as well as some new energetic numbers. Key Auditorium at St. John’s College in Annapolis. Dec.14, 7:30 p.m. Dec. 15, 2 p.m. and 7:30 p.m. Dec. 16, 2 p.m. and 6:30 p.m. Dec. 20-21, 7:30 p.m. Dec. 22, 2 p.m. and 7:30 p.m. Dec. 23, 2 p.m. 410-956-0512, talentmachine.com. A blend of Irish contemporary and traditional holiday songs perfect for the season. Maryland Hall for the Creative Arts in Annapolis, Dec. 14, 8 p.m. 410-269-0907, annapolissymphony.org. Annapolis Chorale performs throughout the weekend. St. Anne’s Episcopal Church in Annapolis, 8 p.m. Dec. 22. 410-280-5640, 866-438-3808, annapolischorale.org. The chorus of Anne Arundel Community College performs its annual holiday concert. Robert E. Kauffman Theater at the Pascal Center of AACC Arnold Campus, 3–5 p.m. Dec. 15. 410-777-2457, aacc.edu. Enjoy the 42nd annual holiday concert from the Children’s Chorus of Maryland. Gordon Center for Performing Arts, 3 p.m. Dec. 3. 410-494-1480, ccmsings.org. Music for the entire family provided by several performing ensembles from the Baltimore metro area. Reisterstown United Methodist Church, 5 p.m. Dec. 8. 410-526-7241, marylandsings.org. A unique experience even if you don’t sing along. Bring your own score or purchase one at the concert. Kraushaar Auditorium at Goucher College, 3 p.m. Dec. 16. 410-523-7070, baltimorechoralarts.org. A holiday program for the young and young-at-heart, featuring Pepito the Clown in a new story and a visit from Santa. Kraushaar Auditorium at Goucher College, 11 a.m. Dec. 15. 410-523-7070, baltimorechoralarts.org. Baltimore-based trio Helicon performs lively, traditional folk music in celebration of winter’s arrival. Kraushaar Auditorium at Goucher College, 3:30 and 7:30 p.m. Dec. 15. 410-243-7254, kenkolodner.com. The beloved holiday classic with a live performance of the film’s jazz score. Carroll Arts Center in Westminster, 8 p.m. Dec. 21. 3 and 8 p.m, Dec. 22. 410-848-7272, carrollcountyartscouncil.org. Hear all your favorites played by your talented neighbors. Bel Air High School, 3 p.m. Dec. 9. 443-412-2211, belaircommunityband.org. Enjoy the sounds of this annual holiday gathering of tubas, euphoniums and baritone horns, or bring your own and join in. Registration for performers begins at 2:30 p.m. Bel Air High School, noon–11:30 p.m. Dec. 16. 410-391-7832, belairartsandentertainment.org. Columbia Pro Cantare Chamber Singers take on this seasonal classic. Jim Rouse Theatre for the Performing Arts in Columbia, 7:30 p.m. Dec. 2. 301-854-0107, 410-799-9321, procantare.org. Jim Rouse Theatre for the Performing Arts in Columbia, 4:30 p.m. Dec. 16. Registration required. peabody.jhu.edu. Choral concert with orchestra and soloists from the Columbia Pro Cantare Chamber Singers. Christ Episcopal Church in Columbia, 7 p.m. Dec. 9. The talented youth of the Baltimore School for the Arts take on this beloved holiday classic. Baltimore School for the Arts, 7 p.m. Dec. 7. Dec. 8, 1 and 5 p.m. Dec. 8, 1 p.m. and 5 p.m. Dec. 14, 7 pm, Dec. 15, 1 p.m. and 5 p.m.
7 p.m. Dec. 14. Dec. 15, 1 p.m. and 5 p.m. 410-547-SEAT, france-merrickpac.com. The classic presented by the Ballet Theatre of Maryland, including the Sugar Plum Fairy Tea Party one hour before show times on Sundays. Maryland Hall for the Creative Arts in Annapolis, 7 p.m. Dec. 8. Dec. 9, 1 p.m. and 4:30 p.m. Dec. 15, 7 p.m. Dec. 16, 1 p.m. and 4:30 p.m. 410-280-5640, 866-438-3808, marylandhall.org. From the Baltimore Ballet Company and School. Kraushaar Auditorium at Goucher College. 6:30 p.m. Dec. 8. Dec. 9 at 4 p.m. 410-667-7974, baltimoreballet.com. Join Clara and her friends at a special tea featuring excerpts from “The Nutcracker.” Carroll County Dance Center in Sykesville, 4 p.m. Dec. 9. The Carroll County Dance Center’s annual production of the holiday classic. Eichelberger Performing Arts Center in Hanover, 1 p.m. and 4 p.m. Dec. 9. 410-795-3255, carrollcountydancecenter.com. Enjoy a photo opportunity with characters from “The Nutcracker” 45 minutes before each performance. Amoss Center at Harford Community College, 1 p.m. and 4 p.m. Dec. 9. 443-412-2000, harford.edu. Presented by Ballet with Cindee Velle. Howard County Arts Council, 7:30 p.m., Dec.18. Dec.21, 7:30 p.m., Dec. 22, 7:30 p.m. The Great Room at Historic Mill, Howard County Arts Council. 410-465-7674, cindeevelleballet.com. Presented by the Columbia Figure Skating Club. Columbia Ice Rink, 5:30 & 7:15 p.m. Dec. 8. Dec. 9, 4:30 and 6 p.m. 410-813-4026, 410-730-0322, columbiafsc.com. An adaptation of the holiday classic set in Baltimore’s 19th-century business district. Chesapeake Shakespeare Company, Dec. 7-23. See website for dates and times. 410-244-8570, chesapeakeshakespeare.com. A full-length ballet production of Dickens’ classic holiday tale. Gordon Center for Performing Arts, Dec. 15, 1:30 p.m. and 7:30 p.m. Dec. 16, 3 p.m. charmcityballet.com. See the Mother Goose Village, Toyland, Dancing Dolls, The Parade of Wooden Soldiers, and a Three-Headed Dragon. Kraushaar Auditorium at Goucher College, 2 p.m. Dec. 1-2. 410-337-8519, 410-771-8427, baltimoreactorstheatre.org. This musical comedy is a perfect holiday treat for young audiences. Kraushaar Auditorium at Goucher College, 10:15 a.m. and noon, Dec. 12. 410-252-8717, artsonstage.org. 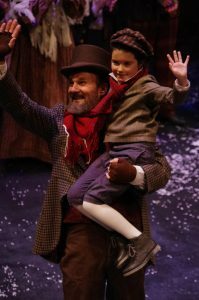 The Maryland Ensemble Theatre performs a heartwarming adaptation of Dickens’ classic tale. Carroll Arts Center in Westminster, 8 p.m., Dec. 7. Dec. 8, 3 p.m. and 8 p.m. 410-848-7272, carrollcountyartscouncil.org. Toy trains and model railroading layouts. Weekend train rides with Santa and Frosty the Snowman, plus holiday activities and crafts. Discount admission with donation to select charities. See website for complete schedule. 10 a.m.-4 p.m. Monday-Saturday, 11 a.m.-4 p.m. Sunday, through Dec. 31. 410-752-2490, borail.org. See the city (and trains!) in miniature. Firehouse No. 41 in Baltimore, 11 a.m.-5 p.m. through Jan. 2. See website for exact dates. 410-342-5395, highlandtowntraingarden.com. Glenn L. Martin Maryland Aviation Museum’s Martinville Train & Plane Garden. 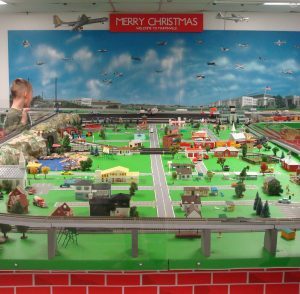 Trains, planes and railroad garden memorabilia will delight visitors of all ages. Hangar 5 at Martin State Airport in Middle River, 11 a.m.-3 p.m. Wednesday-Saturday through Jan. 12. 410-682-6122, mdairmuseum.org. The Fire Museum of Maryland in Lutherville. Nov. 25-Dec. 30. 410-321-7500, firemuseummd.org. The layout features four continuously operating trains. Visitors of all ages delight in pressing the buttons to activate accessories and sounds. Gary J. Arthur Community Center in Cooksville, 7 a.m.-9 p.m. Monday-Saturday, 9 a.m.-6 p.m. Sunday through Jan. 11. 410-313-4840, howardcountymd.gov/rap. Includes antique displays, live music, and refreshments. Howard County Living Farm Heritage Museum in West Friendship, noon-3 p.m. Dec. 1-2, 8-9. 410-489-2345, farmheritage.org. Live music and midnight fireworks. Inner Harbor, 9 p.m.-12:30 a.m. 410-752-8632, promotionandarts.com. Children’s activities from 3 p.m.–midnight. The first round of fireworks begins at 7:30 p.m., Dec. 31. The evening culminates with fireworks at midnight. Susan Campbell Park at the City Dock in Annapolis. 410-280-0445, visitannapolis.org. Baltimore County Public Library is celebrating New Year’s Eve early for the little ones. All branches of Baltimore County Public Library, 11:30 a.m.
Havre de Grace’s annual New Year’s Eve event will include live entertainment and activities as well as the traditional duck drop and midnight fireworks. Concord Point Park. Begins at 10 p.m. 410-939-2100, explorehavredegrace.com.